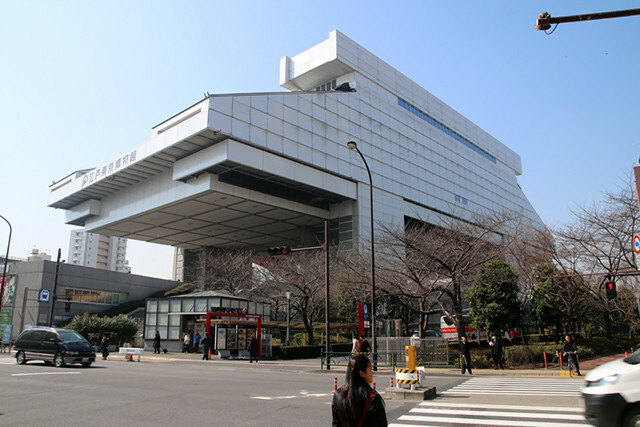 The Edo-Tokyo Museum is one of the most famous museums in Tokyo. 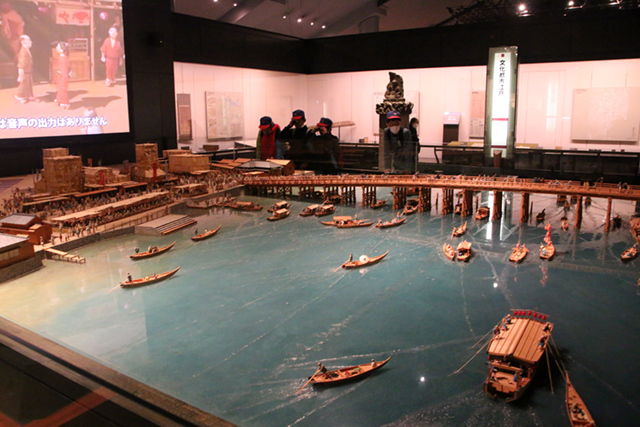 Edo is the old name for Tokyo, so the museum aims to preserve the history and culture of the city. I have to admit, the museum sort of looks like a UFO when you're approaching it, but as I read more, I discovered the architecture was designed to looks like an old Tokyo warehouse raised on stilts. Anyway, it's pretty futuristic modern looking and has some character to it. You first pay your entrance fee downstairs, and then take a long escalator to the museum entrance. As soon as you get off the escalator, you're directed into an absolutely massive cavern like room. According to the official website, the total area of the museum covers 30,000 square meters, pretty huge. You can choose to get a guide, which is complimentary along with your ticket purchase (volunteer guides) or you can use one of the personal audio guides while you're walking around. 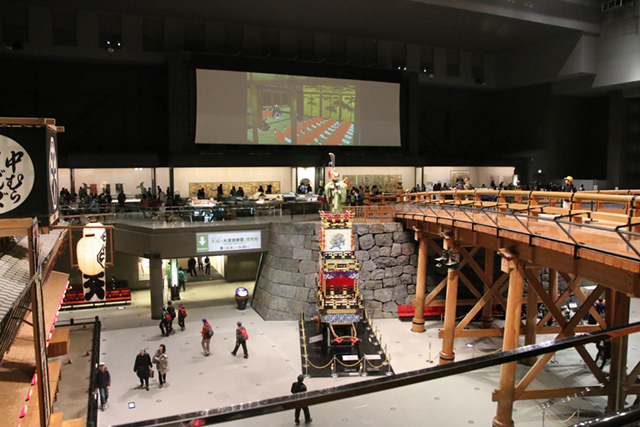 The very first exhibition is a replica of the historical Nihonbashi Bridge, which you actually cross over to get to the main part of the museum. The bridge played an important part in conducting business and transportation in the early years of Tokyo. 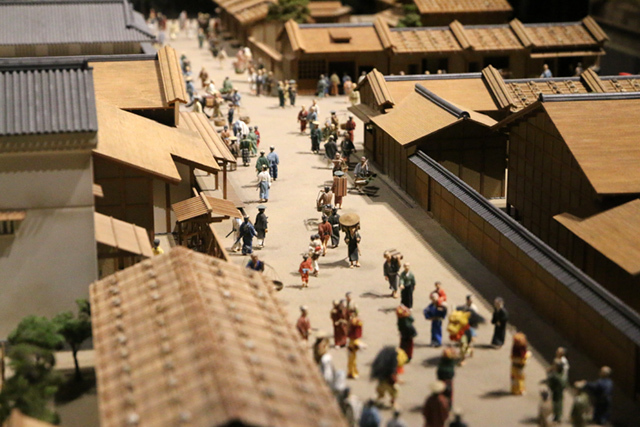 There are numerous extremely detailed models of buildings and parts of the city, all recreated and scaled down, showing the Edo-period of Japan, which lasted from the beginning of 1600 to the middle of 1800. Many of the models are so detailed, you could spend quite a few minutes just looking at all the costumes the tiny models are wearing. The museum even offers binoculars so you can get a closer look into some of the models that are hard to see. A lot of artistic care and accuracy went into the thought of the displays. Another one of my favorite exhibitions showed a waterside scene from Edo-Tokyo, complete with the bridge, boats, and a waterside market area. Along with models and exhibits preserving important items from Tokyo's history, what I really liked about the Edo-Tokyo Museum was that there were plenty of hands-on exhibitions. For a guy like me, who learns much better doing things hands-on, it was pretty cool. For instance, there were life-sized displays of rebuilt homes and shops which you could actually peek inside to see how people in Tokyo formerly lived. 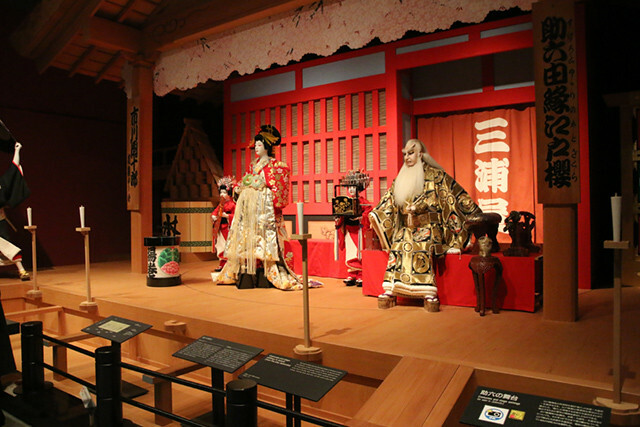 The exhibition above showed the elaborate costumes and stage setting from the theatrical performance of a play called Sukeroku. 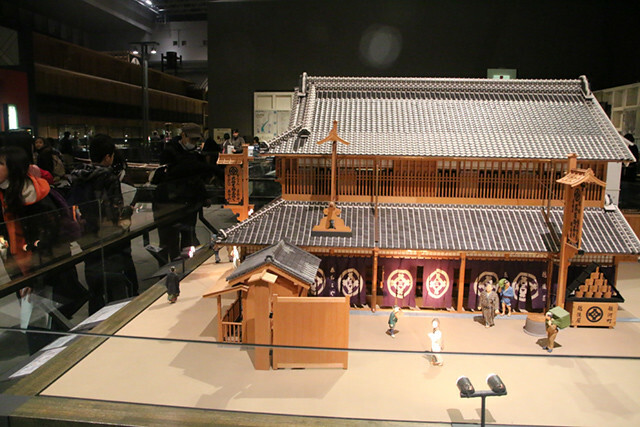 On the other side of the exhibition was a replica model scaled down, of a traditional Japanese theater. 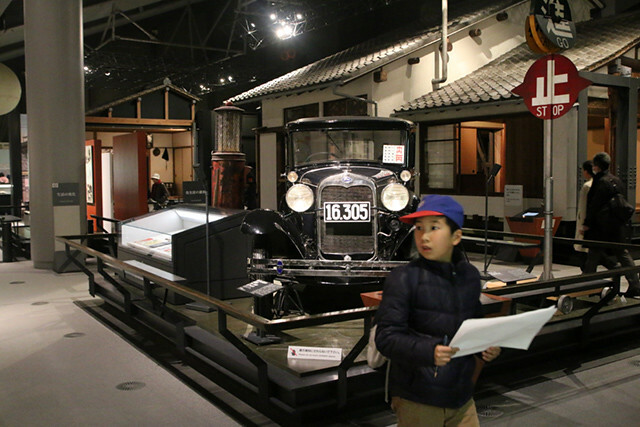 Moving through the museum, the exhibits proceeded to more modern-day Tokyo with the rise of automobiles, and modern technology. Every display included a very detailed explanation in both English and Japanese. There were also a few really recent exhibits, like one that focused on the recent devastating earthquake and tsunami that hit Japan in 2011. 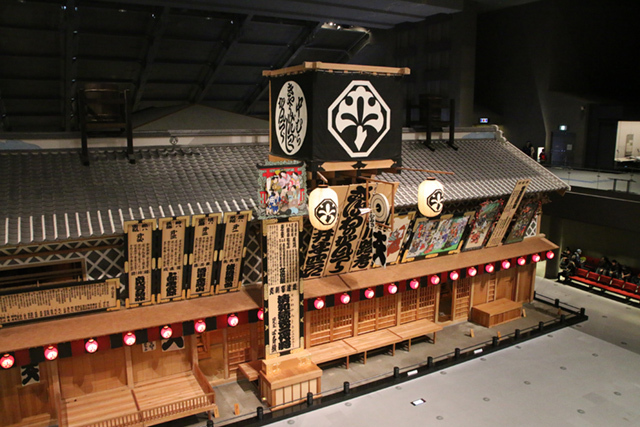 Since the Edo-Tokyo Museum includes such good information about the history of Tokyo, and since it's such an impressive and spacious facility, it's a favorite field trip for local students. The day I went, I shared the museum with countless busloads of school kids, which made the experience even more culturally enjoyable. As far as museum go, the Edo-Tokyo Museum is definitely worth a visit if you're interested in learning about the history of Tokyo and how it grew to become one of the world's biggest and most influential cities.